Add watermark to the output file. Any image or text can be used as watermark. Watermark tab tools allow to set location, opacity, rotation, alignment, font and other watermark settings. Watermark image and/or text can be enabled by Draw Watermark Image and Draw Watermark Text options. 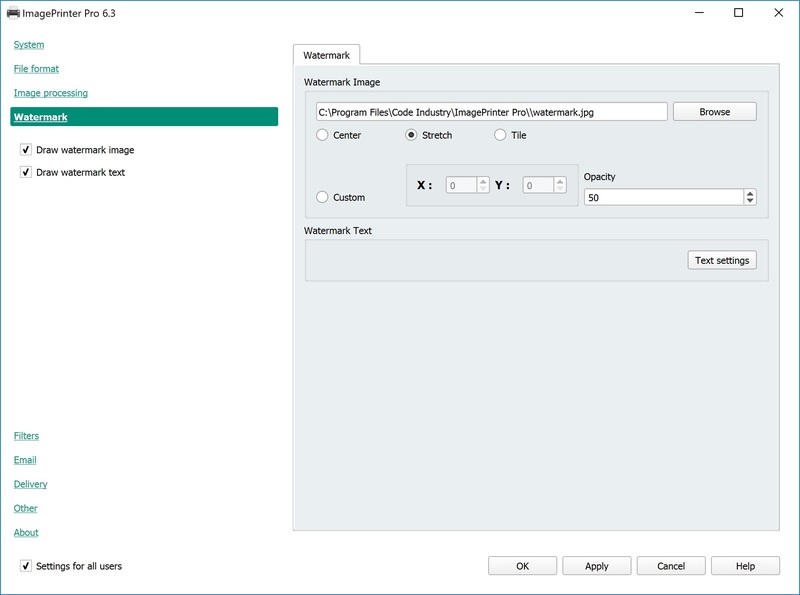 Watermark Image Specify path to the image file or find it by clicking Browse. Watermark Text After clicking Text settings button an editor will pop up. This window allows to specify watermark text, choose font, color alignment and rotation angle. It is not recommended to use watermarks in monochrome images.